Members of the TAA Finance Department at the Board of Directors meeting are, from left, Vice President of Administration/Chief Finance Officer Richard Gruentzel, Manager of Financial Accounting & Reporting Ray Noriega, Accounts Payable Specialist Jackie Stanich, Accounts Receivable Specialist Medardo Lopez, Senior Director of Finance John Schubert and Manager of Financial Planning, Budgeting & Analysis Kirk Eickhoff. 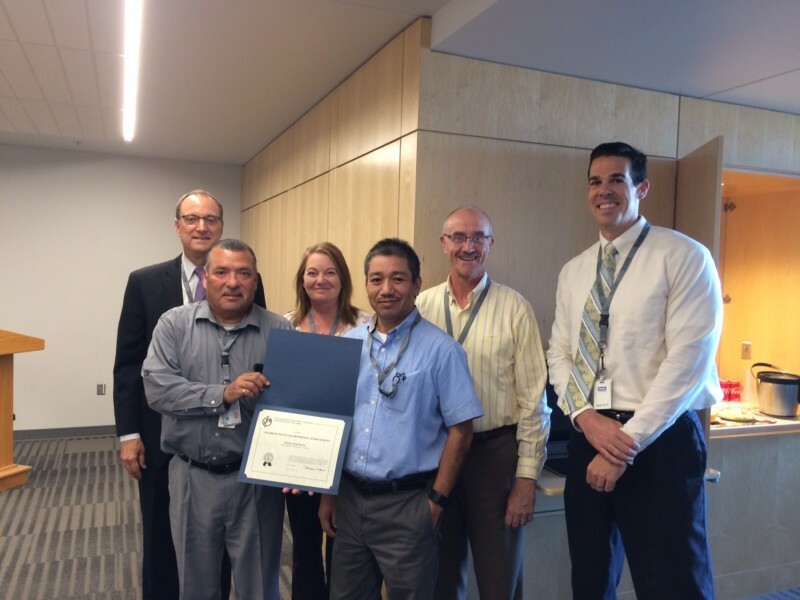 For the 24th consecutive year, the Tucson Airport Authority’s Finance Department has been awarded a coveted Certificate of Achievement for Excellence in Financial Reporting by the Government Finance Officers Association (GFOA) of the United States and Canada. Members of the Finance Department were recognized for the award at the November 7 TAA Board of Directors meeting. The latest award is in recognition of the TAA’s comprehensive annual report (CAFR) for fiscal year 2017. The Certificate of Achievement is the highest recognition in the area of government accounting and financial reporting and its attainment represents a significant accomplishment by a government and its management. The TAA’s CAFR was judged by an impartial panel to meet the high standards of the program, which includes demonstrating a constructive “spirit of full disclosure” to clearly communicate its financial story and motivate potential users and user groups to read it. The TAA CAFR can be viewed online here.